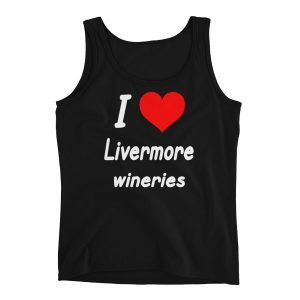 Another sunny afternoon in Livermore and it was time for some wine tasting! 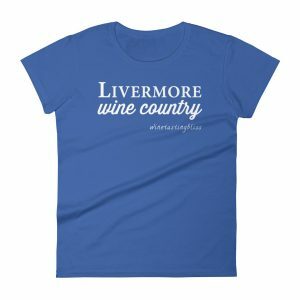 With so many fine wineries to choose from, how to create a tour list? We decided to visit some wineries that we had not visited for too long. First stop: the good folks at Las Positas Vineyards. 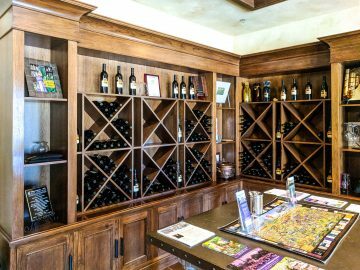 We have been fans of Las Positas Vineyards the instant it moved onto the property formerly occupied by Deer Ridge Vineyards. On top of the lovely wine, the facilities are great! 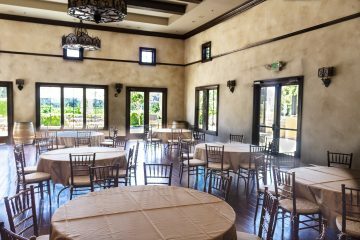 We have frequently enjoyed a picnic on the patio and there are pictures around the tasting room showing various happy events in their large party room. 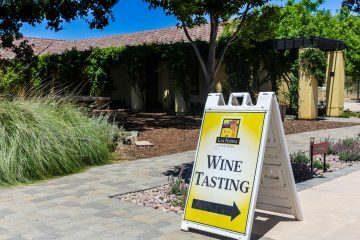 It was a warm day, but the tasting room was cool, with several groups of tasters scattered along the tasting bar area. 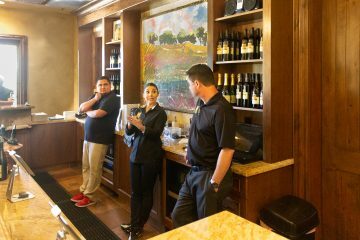 We found an open spot along the bar and met wine guides Jennifer and Andrew, and Tasting Room Manager Curt. The room was rocking, with a sound track that we learned was curated by Andrew, making everything just a bit more fun. Jennifer started us with their 2016 Verdelho. We loved the lemon and cream notes, with a tart apple and toast finish. Jennifer pointed out that they offer a cheese and cheesecake pairing menu. Their Verdelho was paired with a mango cheesecake cupcake. A perfect idea! We next tasted their 2016 Estate Chardonnay. 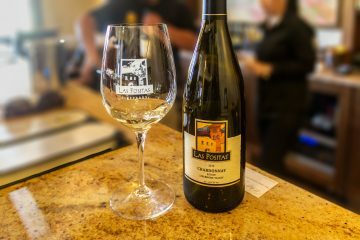 As we savored the buttery notes of lemon drop and green apple, we learned that starting with their 2017 vintage, all of the Las Positas wines will be made from estate grapes. If they all taste as good as their Estate Chard, that will be amazing. Their 2016 Estate Rosé. A great summer sipper, it showed attractive aromas of strawberry and raspberry coulis, and flavors of pomegranate and blueberry and a grapefruit finish. The only way to make this better was already in progress: a case sale! Next up was a favorite with both of us: their 2013 Estate Barbera. Dark as ink in the glass, it was a festival of aromas, resolving to flavors of tart cherry and raspberry on the palate. The acid and alcohol level (14.8 abv) gave it a puckery finish that should make it a great pairing with most foods. We moved on to their 2013 Estate Cabernet Sauvignon. This Cab had essentially no aroma, with black cherry flavors and a finish of acid and cedar. A nice pairing with French cheeses we thought. As we sipped on this lovely Cab, Andrew offered to give us a quick tour through their production facility. An offer we didn’t want to refuse! 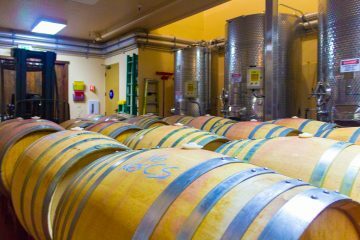 We stepped behind the tasting room door to find all of the equipment needed to transform the lowly grape into the nectar that is wine! From destemming to crush to fermentation to barrel aging, it was all just behind the wall! We completed our tasting flight (with some classic Journey playing in the background) with their 2014 Estate Obscurus. Jennifer told us that this was a “mystery blend” and challenged us to deconstruct the wine. We are typically very bad at this. Nonetheless, we convinced ourselves that the wine showed a Cab nose, with Barbera punchiness on the mid-palate and a Tempranillo zip at the finish. 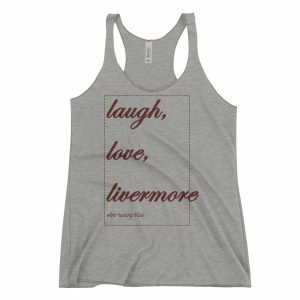 So it is probably mostly Syrah. The one thing that we knew was correct was that this wine was delicious. Several bottles of this mysterious wine topped our Take Home list! With bottles in all hands, we thanked Jennifer, Andrew, and Curt and headed off toward our next tasting. 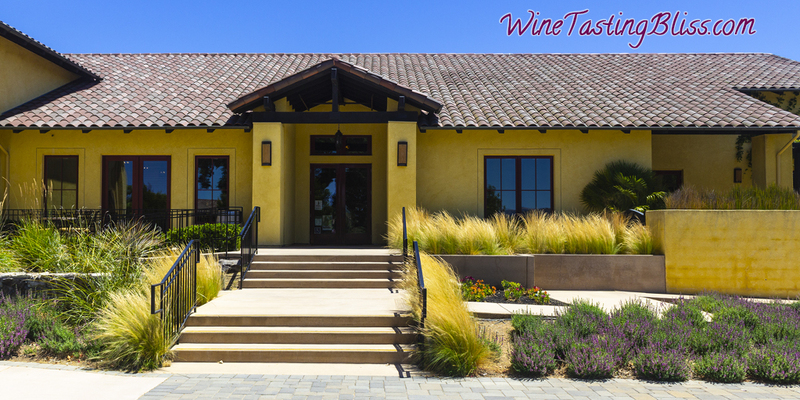 Have you visited Las Positas Vineyards? Click to give'em a tweet of support!